Your written submission must be submitted on the specified category entry template in no more than 10 single-sided pages of A4 paper. Judges and organiser reserve the right to disqualify an entry if the page limit is not adhered to. You can download the Entry Kit and Entry Templates from AOY website. Entries are to be submitted online at www.aoyawards.com/network via the Enter Now button on the menu bar by 9 October 2018. Entries and nominations will be accepted from the entire Greater China region. All entries should relate to achievements ONLY during the period 1 October 2017 – 30 September 2018. 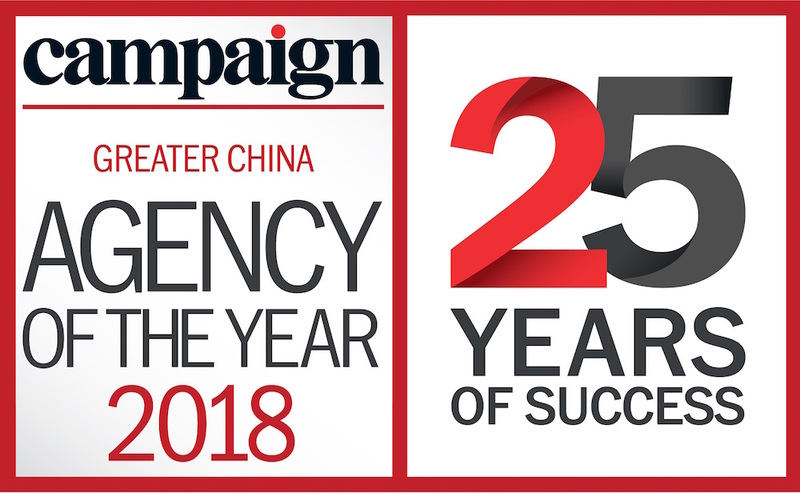 The Greater China Agency of the Year judging panel will comprise a minimum of five client marketers and senior Campaign editors. In the first round of judging, judges will review and score entries independently and the scores will be sent directly to PricewaterhouseCoopers to verify the shortlist.The jury will then meet to discuss shortlisted entries in both the people and agency categories. The judges’ decisions are final. Awards will be made at the discretion of the judges based on a scoring system and no feedback or correspondence will be entered into about the results. The results will be compiled by PwC. Abhinav Sharma is the Head of Global Event Marketing and Alumni Relations for Citi in Asia-Pacific, and is based in Hong Kong. He is responsible for the strategic planning and management of event marketing, roadshows, sponsorship activations and client entertainment initiatives across the Asia Pacific region. He also leads the Alumni Relations efforts for Citi in the region. Abhinav has over 22 years of leadership experience across integrated marketing communications and has previously worked with the HT Media group, Ogilvy, Percept, and the International Travel House group in India. He holds a bachelor's degree in Hotel Management and a master's in Business Administration. Company: Amway Hong Kong Ltd.
Ali Fung is the General Manager of Amway Hong Kong, overseeing business development, operation and management of the leading direct selling company in Hong Kong. With over 16 years of experience, Ali has held various managerial positions in product and digital marketing, advertising and relationship management. Previously, he was the Marketing Director leading 5 product brands in FMCG, Nutrition and Cosmetics industries. During this period, he has built an extensive knowledge in strategic marketing, digital and social media engagement. Amy Chen is the VP / Chief Marketing Officer of PepsiCo’s Greater China Region Snacks Category. Previously, Amy held a number of roles in PepsiCo’s North America business, including sales, operations, innovation, and marketing. Amy is a passionate believer that business – and brands – can be a force for social good. She serves on PepsiCo’s Global Human Rights Operating Committee and the steering committee for Food for Good, a PepsiCo initiative focused on inner city nutrition that she helped found in 2009. Amy previously worked as a strategy consultant for McKinsey & Company. She has an M.B.A. and a J.D. from Stanford University and an undergraduate degree in chemistry from Harvard. As Senior Brand Director of Unilever ice cream business unit, my happiness from millions of smile in Chinese people’s face when they enjoy our ice cream. Every year, we deliver beloved ice cream innovation and communication campaign, to make people feel good and get more out of life. Besides ice cream experience, I worked for Knorr savory, Lipton tea and Comfort fabric conditioner, during rotation. My journey is crossing Asia and Europe, and it is my 16th year in Unilever. As Vice President, Branding, Marketing of Genting Cruise Lines, Eric Leong is responsible for overseeing the group and individual brand strategy, development, design and brand marketing for Genting Hong Kong’s cruise division which comprises of three distinct cruise brands – Star Cruises, Dream Cruises and Crystal Cruises – providing a range of products from contemporary cruises to ultra-luxurious vacation experiences spanning the sea to air. Eric Li joined Abbott in 2008 as Marketing Service Director, and in 2011 he took the position of Senior Director of Public Affairs and Marketing Service for Abbott Nutrition. He was responsible for overall media strategy, planning and execution, as well as over-looking media relations and crisis management. In 2017, Eric Li was promoted to Senior Director, Consumer Engagement and Marketing Service, Greater China, Abbott Nutrition, and he has been taking overall management of consumer relation and interaction through full utilization of different engagement methods, hotline, CRM platform and new media. In the past 10 years with Abbott, Eric Li has received Abbott’s highest honor Chairman Award for his outstanding performance, also a 7 time winner of Global President Award of Abbott. Eric also won two top awards granted by China Advertising Association in two consecutive years in 2011 and 2012. Fiona joined TimeVallée as the Marketing & Communication Director in Dec 2017. TimeVallée is a multi-brand fine watch boutique concept, which combines cutting edge in-store innovations with the heritage and expertise of prestigious timepieces Maisons from Richemont, Rolex and LVMH Group. Fiona oversees the marketing department in the head office located in Hong Kong, collaborating with 4 operators and 15 watch brands in China, Japan and Korea. Prior to joining TimeVallée, Fiona was the Brand Marketing Director at the Asia Pacific Office of Pandora Jewelry, where she successfully established the brand to achieve the highest level of brand awareness against key competitors in Hong Kong and Singapore in 2016, and received numerous marketing and PR related awards between 2014 and 2017. Her earlier career experience included role as Marketing Director at the Water Oasis Group, a listed beauty group in Hong Kong, responsible for the development of its business in Greater China and roles with premier 4As Advertising Agencies. Herbert Lam is the Head of Digital Marketing for Sun Life Financial Asia. He is responsible for driving innovative digital marketing initiatives in social media, content marketing, search engine optimization, partnerships and performance. With over 15 years of experience, his primary focus is on the creation and implementation of digital-first strategies that enable Sun Life Clients to achieve lifetime financial security and live healthier lives. Howell is a digital strategist, transformation agent with 18 years of experience in digital, marketing and customer experience design. He is currently the regional head of digital in Moet Hennessy Asia Pacific heading initiatives and programs on digital transformation, Omni experience campaigns, ecommerce, data analytics and marketing technology. Prior to that, he was the head of digital in 4As agencies and a global campaign lead of a giant telecom corp.
Jae brings 15 years of experience (as agency/client) with proven track records across marketing, digital, retail and creative development. Coupled with his innate knowledge and understanding of the mass affluent to HNWI-UHNWI segments (particularly in Asia-Pacific), he has successfully crafted and launched products and services across categories, and creatively transformed customer experience across channels with profound impact on perception, behaviour and loyalty. During his tenure with agencies, he has consistently received numerous awards for creativity and effectiveness, globally. With an impressive track record and strong business acumen, Jae first took a leadership role as the general manager of Publicis 133 for Publicis Singapore where he set up Southeast Asia’s first specialist agency that focuses on luxury brand marketing for premium and luxury brands. During his tenure, the agency won one of the largest global digital and social media AOR for Accor Luxury and Upscale brands - noted as one of the Top 10 Asia Pacific creative wins in 2014. In the same year, the agency also won the Campaign Asia - AOTY Gold award for Southeast Asia New Business Development Team of the Year amongst other significant wins. Jae’s leadership and vision are also evident in the impressive new business growth rate of Publicis 133. Jae now works in LVMH in Paris as Head of Fashion & Leather goods within Global Digital team - leading the digital acceleration and customer experience transformation for the group. 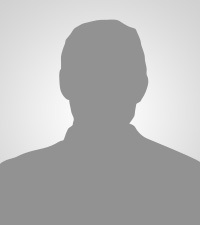 Jan is Global Media Investment Director for Huawei Consumer Business Group based in Shenzhen. Among leading the strategy for global flagship campaigns Jan takes responsibility for spearheading thought leadership, trainings, auditing, agency management and best practices for key regions. With his profound knowledge of consumer insights, strategy and digital capabilities Jan ensures delivery of best strategies for flagship campaigns. Originally from Germany, Jan has worked for multinational 4A agencies in China and Hong Kong. Jan has been living, studying and working in China for over 10 years and is fluent in Mandarin and holds an MBA from Manchester Business School. Jeff has been instrumental to the development and implementation of Woolmark's new business strategies to position Australian merino wool as the luxury fibre of choice in fashion. Since 2015, He's pioneered in the strategic partnership and creative collaboration with Shanghai Fashion Week, Lane Crawford, Dongliang and Comme Moi, to name a few. He leads the management of 200+ Woolmark licensees and 60+ retail brands and designer labels in the region. With over 20 years of branding and marketing experience, Jeff has worked previously for advertising agency such as Ogilvy & Mather, M&C Saatchi, in senior positions. He's also contributed to the brand revitalization of Tsingtao Beer, its award-winning campaigns and new packaging, in a management role. Kitty has held senior commercial positions in multiple categories and multiple markets, including Taiwan, Japan and China. She has 21 years of CPG Marketing and Sales experiences, 11 years in Unilever, 6 years in Yum China!, 5 years in ReckittBenckiser infant formula business. Her last role was VP, Marketing & Sales Operation in ReckittBenckiser infant formula business. She recently joined General Mills, as Yoplait Business Unit Director. Magda provides strategic marketing leadership across Asia Pacific for Invesco, one of the world’s leading asset managers. She cares about digital transformation and making a difference for customers and communities. Prior to Invesco, Magda held CMO and senior marketing roles in the US, Europe and Asia for GE Capital. She’s been based in Hong Kong for seven years. Paul Yang, Greater China region General Manager of Oracle Marketing Cloud (Hereinafter referred to as OMC), responsible for OMC products development in mainland China, HK and Taiwan market, such as Marketing Automation product Eloqua, Multi- Channel Marketing product Responsys, Automated Testing product Maxymiser and Big Data product Bluekai. Served as the deputy general manager of Sage China, general manager of NTRGlobal operation and maintenance service cloud China, general manager of Smartfocus marketing cloud China, director of market development of Azure China of Microsoft cloud computing; familiar with cloud computing, CRM and digital marketing; We have provided marketing consulting and training services to a number of enterprises such as shell oil, Dow chemical, Baiyang medicine, EF education, Kohler sanitary ware, family supermarkets, BAIC new energy and Lifan automotive. Fudan university school of management Fudan BI Norwegian business school 2005 MBA. Peony Wu was appointed Head of Marketing and Engagement of Asia Miles in July 2016. As the brand guardian and voice of Asia Miles, Peony tells compelling Asia Miles stories through integrated communications channels across both internal and external stakeholders. She is responsible for developing, managing and executing the marketing strategy, as well as engaging members and programme partners to enhance brand awareness, and articulating desired propositions, offers and image. Peony also plays a key role in driving Asia Miles's digital evolution to enhance data-driven marketing capabilities of the programme in line with business objectives. With 20 years’ experience in consumer marketing, advertising and management consulting, Peony has a strong background in digital-driven offerings from a renowned communications agency group and Mainland China market. Most recently she was Chief Digital Officer of Ogilvy & Mather China, responsible for developing and driving digital capabilities and transformation across the China group. Peony also held Managing Director positions across Ogilvy business units, transforming global and Chinese brands into digital pioneers. Between stints with Ogilvy, she was Regional Marketing Director at Motorola Asia Pacific, with the dual role of eCommerce Director China, where she managed interactive marketing functions, digital initiatives in branding and market acquisitions, and eCommerce business. Peony built her consulting experience with Andersen Consulting (today’s Accenture) working in Hong Kong, Paris and Montreal. A graduate of the University of Hong Kong, Peony holds a degree in Mechanical and Environmental Engineering. She was named Top 20 Women to Watch by Campaign Asia in 2014. Music is Peony’s favourite way to relax. She particularly enjoys the thrill of live performances and a trip to the Tokyo Jazz Festival is an annual trek for her. She loves traveling and sampling local cuisines. Philia is responsible of driving the insights agenda as a source of competitive advantage and continue to strengthen the China demand spaces foundation to frame the innovation and strategic plan priorities. Wu Lidong is VP of IBM marketing now, she has around 20 years marketing experience in different professional area and lead the team won multiple internal and external award. As Nestlé’s Head of Communications since 2015, Skye is responsible for providing functional leadership in Marketing Communication as well as strategic direction for Nestlé China. Skye started her career with McCann Erickson in 2000 and joined BBDO in 2010. Enticed by a canvas of opportunity infinitely bigger than Taiwan, Skye moved to China in 2014 and led the transformation of Bates. Skye has a Master degree from The University of Westminster. Now she sells food & beverages during the week, and enjoy retail therapy on weekends. Making a positive difference in the lives we touch. After studying Fine Arts and graphic design, Ted spent the next 30 years learning the gift, seasonal & toy industries, as a designer with a novelty gift store franchise to a design director in a seasonal gift company. Now as the Creative lead in Mattel HK & China his team focuses on the values that toys can provide in a child’s learning & development journey. Our top focus, maintaining Mattel brands like Barbie, Hot Wheels and Fisher Price to be leaders in great purposeful design and play innovation. Tony has more than 20 years of experience in the media, marketing, broadcast and communications industry, including 10 years in the digital media space. He is an award winning Executive Producer & Producer & Director. Over the course of his career, he has produced many award winning TV commercials, online videos and Television programs for major clients like McDonalds, Sony, Canon, P&G, Calvin Klein, Levi, StarHub to name a few, as well as for broadcast networks like Discovery Channel, National geographic, BBC, History, AETN, Fox International, CCTV China, Scripps and Food Networks USA/UK. He was also the elected President of the Singapore Independent TV Production companies' Association for a consecutive 7 years term, from 2001 to 2007. Following that, Tony went on to helm international content distribution and production- company, Off The Fence’s Asia’s office in Singapore as its Managing Director, overseeing the production and distribution of TV content in Asia. Tony was formerly the Director of Creative and Content Marketing for Asia Pacific of Marriott International. Now, the head of Content and Partnership for Hong Kong Tourism Board. He is also a highly sought after speaker, strategic consultant & trainer at various international media events and a regular jury member of several international TV and Film awards which include the prestigious International TV Emmy. A seasoned communicator and leader, I have been combining my communications expertise, media savvy, people skills, creative sense, and industrial knowledge to create, lead and implement successful branding strategies and campaigns for leading brands in China in the past twenty years. I continue to seek out new ideas and new ways to connect with different audiences, in particular, creating content that is relevant, engaging and adds value to people’s lives, while building brands and driving business growth. NOTE: In categories with three or fewer entries, the judges’ scores will decide whether an entry is awarded a Gold, Silver or Bronze. This may result in no trophies being awarded in a category. The Agency of the Year Awards offers industry suppliers the opportunity to target the heart of the industry in Asia – the decision makers driving the industry forward. The awards are attended by the regional and local management teams of every major agency as they wind down for the year and celebrate their achievements. Sponsorship allows both a strong branding and networking opportunity, offering you the chance to meet and mingle with the industry’s leading players as well as building your brand in the minds of the people driving the advertising industry in Asia, allowing you to from relationships and trust with the people responsible for spending the advertising and marketing dollars of the major brands.